This 341 Meridian is in excellent condition. A simple, yet very practical vessel. The light, bright interior with L-Shaped seating, swim platform, molded steps to Flybridge and salon entrance with teak covering, make this a LARGE 34' Motor Yacht. Two month old rebuilt engines including new manifolds and risers! Engines have 25 hours since rebuild. 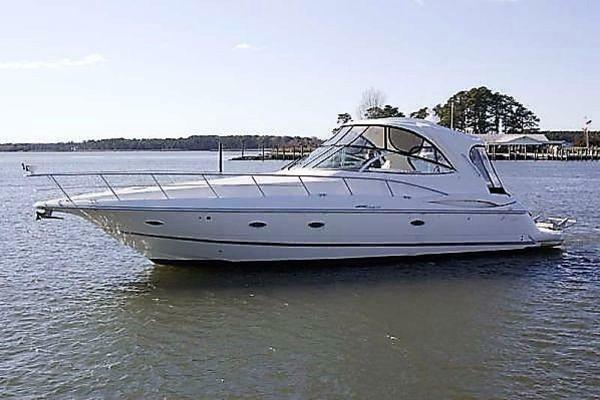 West Florida Yachts would love to guide you through a personal showing of this 35' Meridian 341 MY 2003. 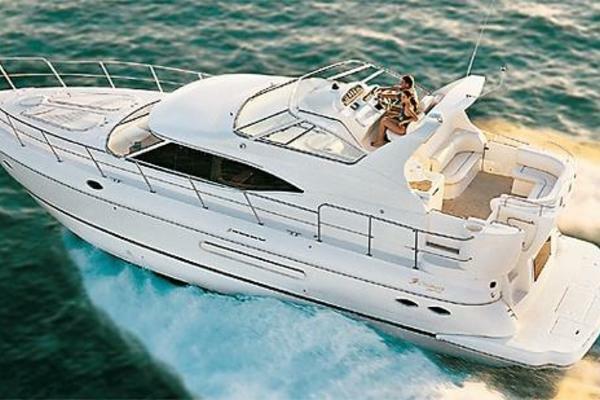 This yacht for sale is located in Brick, New Jersey and priced at $99,000. For a showing please contact us by filling out the form on this page and we will get back to you shortly! This 341 Meridian is in excellent condition. The light, bright interior with L-Shaped seating, swim platform, molded steps to Flybridge and salon entrance with teak covering, make this a LARGE 34' Motor Yacht. Helm station has ample room and filled with all upgrade up to date electronics along with great seating capacity. Galley well appointed with sink, water heater, microwave, fresh water system and a two burner electric stove. Also includes coffee maker, toaster and TWO refrigerators. Her two stateroom interior is highlighted with cherry woodwork, cedar lined hanging lockers and leather upholstery. Includes a settee, TV, Carpeting, Hi-Low table, AC, Convertible sofa and Clarion Stereo. Includes stand up shower, sink, medicine cabinet and overboard, electric head with holding tank. Teak covering on entire swim platform, deck and stairs to flybridge. Transom door, dockside water, Nav lights, Flybridge full camper enclosure. Electric windlass, 4-sided enclosure with U-Zips. Electrical search light with remote control. Clarion Stereo remote-control mounted port side. Two months old rebuilt engines including new risers and exhaust manifolds, Trim tabs, fuel filters, AC, Hydraulic steering, fresh water cooled, Twin 320 HP 1/B Mercruisers, Bow Thruster makes for ease of docking. Include radar arch, excellent cabin headroom and an extended flybridge along with nice narrow side decks with plenty of handrails.